Blessed Being, freedom is an internal experience. You reside in physical separation to participate with connection from a unique perspective. Your unique perspective is valuable, it is sovereign unto you, and it is the perspective of Life through you. That which is within you, is Life—a unique experience of Life. Your beingness is a powerful alchemical vibration, for all that it touches is changed because of the interaction. You don’t always see this, you must look beyond the obvious to see the invisible connection of Life. This intricate, infinite, interaction of Life is in-built into the fabric of life. It is the connection, the Oneness, the wholeness. Your power of focus determines your experience in the physical realm. Focus is your internal, invisible awareness flowing energy to whatever you focus upon. In your 3D understanding of life on Earth, it was “eat or be eaten.” You focused upon the physical needs of your system and created from that perspective. This had the effect of creating dominion or submission—Force OR Follow. It became nuanced in many ways, but the essence was an either/or, fear-focused (self-preservation) structure. This is a natural part of progression as a species learns to create its survival. Even as you evolve, it will be through and with this system as you improve it. 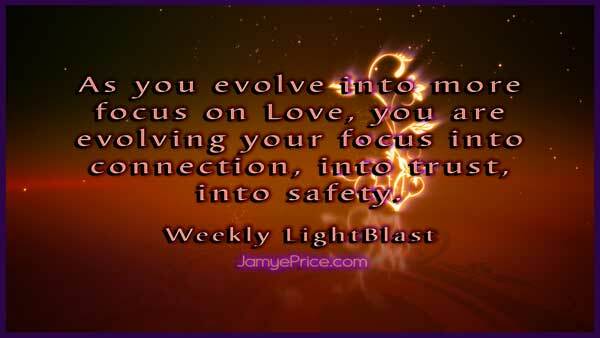 As you evolve into more focus on Love, you are evolving your focus into connection, into trust, into safety. As you evolve into greater connection, there is an opening to wisdom that recognizes your own power, your Force, and Follows that wisdom into greater connection, or expansion. Your Force of Love (the passive force) is an internal experience. As you observe your fear and safety within, you are beginning to understand that which is connecting you to your future manifestations. Follow your Heart, and you find your path of creation. Rather than forcing the physical realm to follow your demands, understand your True Power—Love, and follow that whisper into deep change. As you begin to truly understand the force of your Love, you will focus less on manipulating the outside world and more on knowing All is well and improving because you are creating it. This is challenging when fear is leading your experience. Soothe the self into more Conscious Peace, and you find your ability to create immense change from the core of your beingness. This is a subtle change, but the key to shifting into true higher-dimensional understanding. Discovering your passive Force of Love is key to understanding your cosmic connection with a flow of Life that wants you thriving. Dear Ones, this Force is within you. Follow your heart. 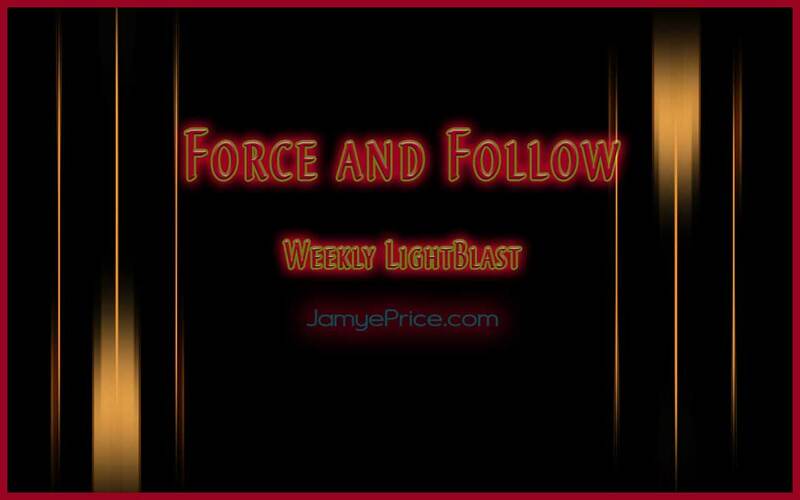 As we sit to Blast Force and Follow, we are maintaining our Force of Love that honors self-preservation and a cosmic system of Life that supports our thriving. We are nurturing the seed of Love into seeking its safety as it roots ever deeper to reach greater heights. We are appreciating the healthy flow of emotions that soften hard hearts into connection with Life. We are moving past instant gratification, into expecting improvement, for it is the natural flow that follows Love. We are courageously dedicated to improvement of Life on Earth, persistently focusing on Love changing our world. No longer will we respond to chaos with fear, for we know its gift is an understanding of the deepest power that builds new worlds. Blast on!